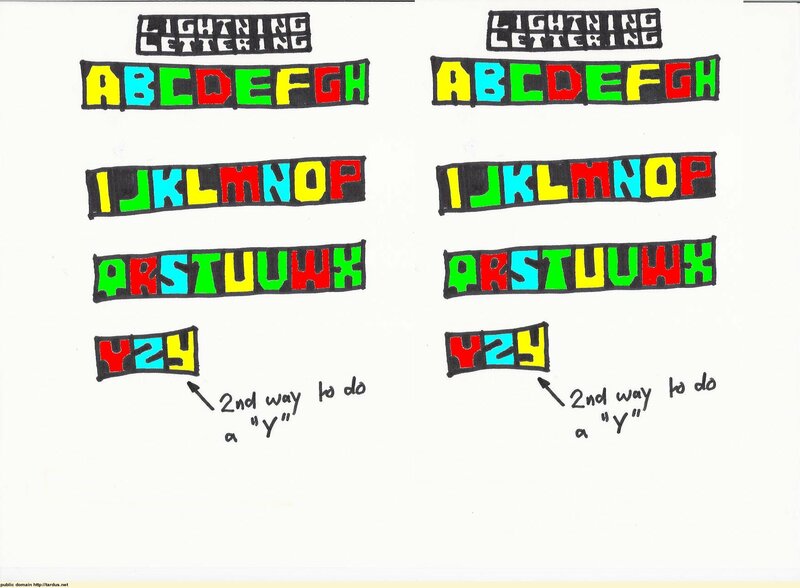 Lightning Lettering (also called Ladder Lettering) is a really easy but seemingly magical way of drawing or painting words. All ages from little kids to grandpas and grandmas love watching words appear as if from nowhere. I have been using this method in my kids' Bible stories for many years now. I usually put in a background colour, and then draw the bordering "Ladder". You don't need to be too fussy about alignment - it doesn't matter if a bit of colour is outside the border. Tip: count the letters and SPACES if any in your word or phrase, and then divide the ladder up. For example, if it is 8, divide the ladder into 2 halves, then the halves into quarters, then the quarters into eighths. If 9, divide into 3, then each third into three. Tip: you can make "M"s and "W"s a bit wider, and any "I"s a bit narrower. 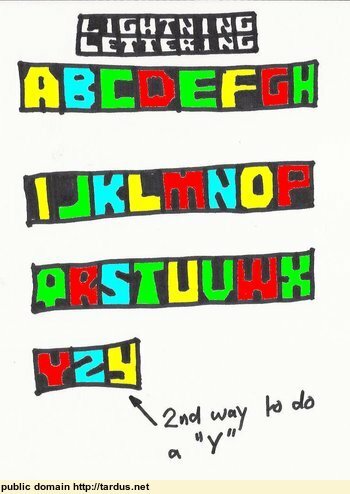 Now, here is the trick - with your pen or brush, black out the part of a square that does not belong to the letter you want. So, for a "C" you just draw one stroke from the right hand edge of the square to the centre. It gets easy with a bit of practice.